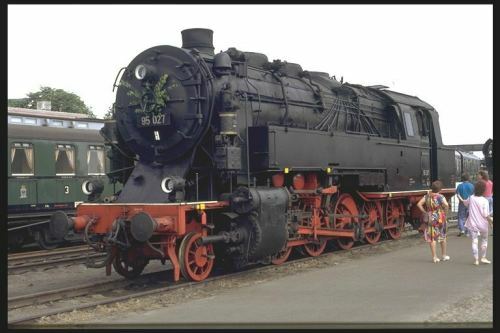 Like the 98 727 this mallet was also originally built for the Bavarian State Railways. 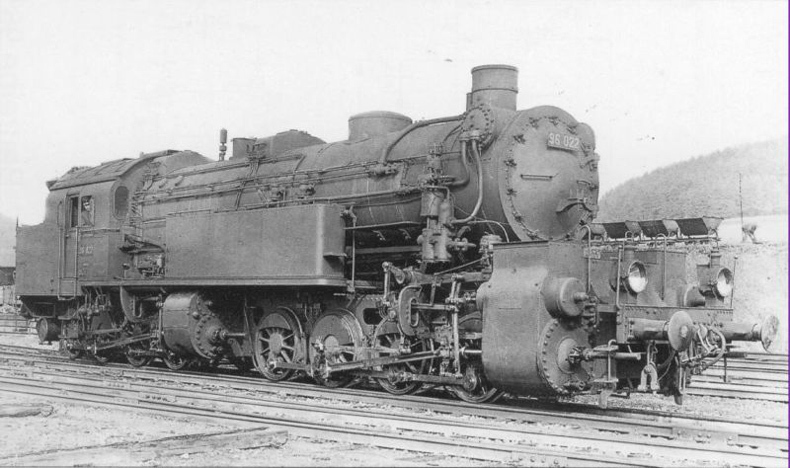 Fifteen engines were built in 1913 as pushers. Their performance was not satisfying, the Prussian fixed frame type T20 delivering more tractive power. The front set of drivers had a tendency to slip and move from left to right. They were reconstructed to ease this. A second batch was built as late as 1922-1923 thereby concluding any production of articulated locomotives for European use. All engines were scrapped by the fifties. The model was produced by Rivarossi. 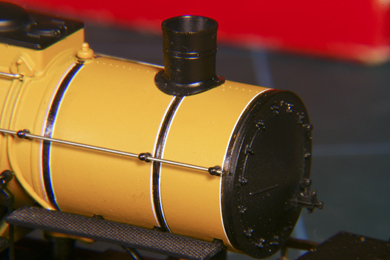 It depicts a prototype of the second batch from 1922-1923. I bought the model in 2004. 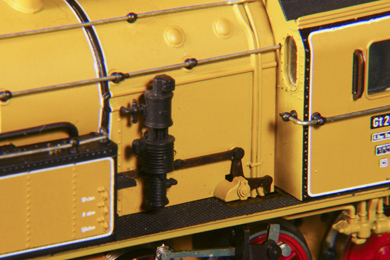 According to the German Model Railroad Wiki this model was produced starting from 1987. 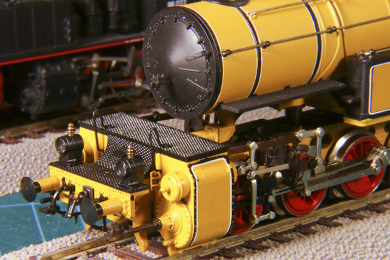 It isn't exactly of the latest standard but it can certainly survive comparison with the much more expensive Märklin version. I bought this model for €130. Like almost all mallets in model this model is not prototypical in that respect that both sets of drivers swivel at some point just off center of each set. A real mallet had the rear set fixed in the frame and only the front set swiveled at a point between the rear cylinders. 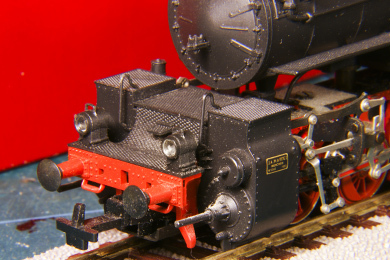 Not long after I bought the black giant a felt a pang of regret that I had not considered buying the "Länderbahn" version, that is: in any livery from before the formation of the Deutsche Reichsbahn. Automatically that would been a version fom the first batch which differs from the second batch in many details. Since then I had been looking for such a version, but that did not turn out to be very easy. 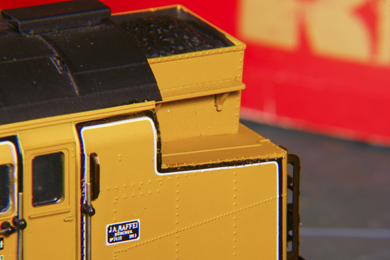 Oh yes, they are readily available but usually the complex liveries makes the model pretty pricy. It wasn't on my list of priorities either. In 2015 at the International model railway fair in Arnhem I stumbled upon an ockre version, as originally delivered, for a very good price. The deal was quickly done, and now I have both. This model was produced between 1982 and 1986. 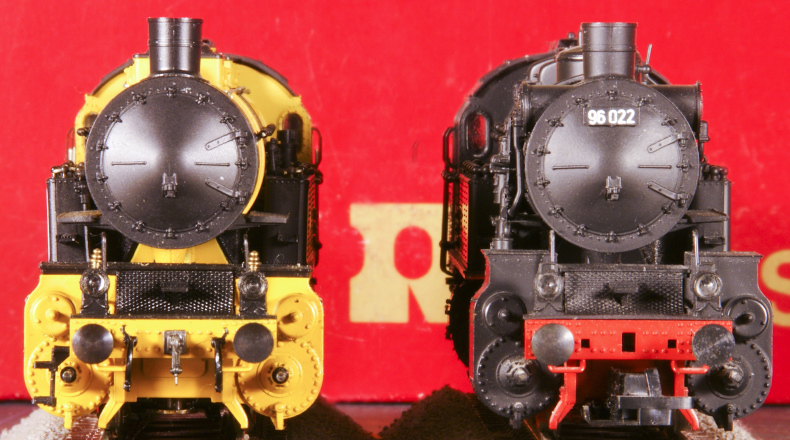 Originally I intended to sell the black one once I got the Länderbahn version, but as the versions really differI think they complement each other nicely, so why bother? This loco runs far better than the black version, so the bad running of the latter is probably an individual problem. All the differences also require numerous differences in the piping arrangements.